Paul Hawken asks 6 great questions in his book “Blessed Unrest”. “At what point in the future will the existence of 2 million, 3 million, or even 5 million citizen-led organizations shift our awareness to the possibility that we will have fundamentally changed the way human beings govern and organize themselves on earth? What are the characteristics of leadership required when power arises instead of descends? What would a democracy look like that was not ruled by a dominant minority? What would a world feel like that created solutions to our problems from the ground up? What if we are entering a transitional phase of human development where what “works” is invisible because most heads are turned to the past? What if some very basic values are being reinstilled worldwide and are fostering complex social webs of meaning that represent the future of government? He’s coming from his survey of the global and distributed environmental movement and his book is aimed at this diverse audience, but these questions are equally apt for the Gov 2.0/Civic 2.0 movement, or the Placemaking movement in urban planning, or the Ed 2.0 movement in education, etc. From where I stand his observations three years since publication resonate even stronger. Been thinking about my product design work on mass collaboration and ongoing sustainability of peoples’ participation. The short video below on PARK(ing) Day includes nice shots of the fixcity.org site which I conceived and was the Senior Product Manager. 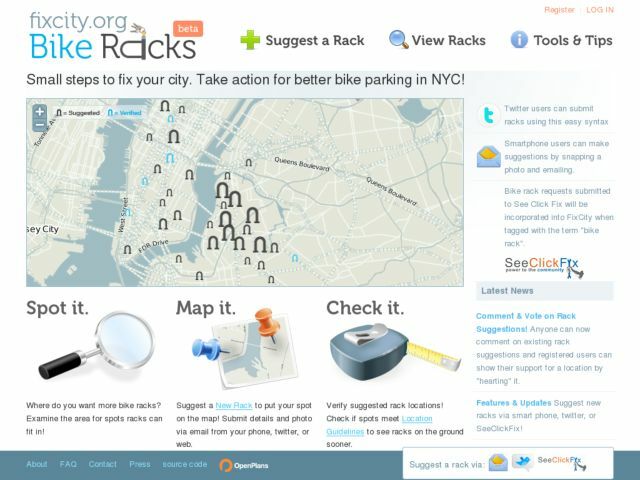 Fixcity.org began as my volunteer project with Transportation Alternatives’ Brooklyn Committee and came to life in collaboration and consulting work with The Open Planning Project, it’s one recent project that’s helped clarify the variables at play in civic involvement and also at play in the cultural assumptions of those working on civic collaboration tools. For now check the video, the America.gov team quoted me and one of my favorite mantras these days, “we now have all these powerful social technologies that instead of using them for entertainment purposes we can use them for civic purposes.” Looking forward to more peers of mine joining in and switching their energy towards these challenges of renewing what democracy & civil-participation means in our networked globe. The quote below pretty much sums up why I’m blogging again, actually not so much wanting more space than Twitter allows in terms of some topics for me, but about my move to study more of what I do, to develop a deeper cultural understanding of the social web, now that the scale is there. “…Maybe we are trying to change it too much. It’s time to redraw and to interpret it again, because do we really know what is going on today? Zizek is good at making provocative statements, and the above is not about the state of cultural awareness of the net, but of general global deterministic speed and lack of understanding. I saw him on democracynow.org and this quote just resonated to my local position and place today. I’m more focused now on methods of social awareness, from ethnography to meditation. This post is as good a start as any. I had a filter blog 9 years ago mainly tracking web trends as they were rapidly evolving and only spent partial time on cultural observations and questions; quit after wanting my time back and seeing that so many other full time blogs kept better track. This time around, my motto is “less is more”. Quality posts less often, more around my current interests, more at length on the patterns that Twittering helps raise to the top of my awareness. Topically this blog will also more squarely focus on my search for the state of Digital Ethnography… for designing web presences/products today we have developed methods and knowledge about the presentation layers, and the business layers, the software layers, and now the social layers are being well mapped out…. but what remains most out of awareness is the silent language, the cultural layer. So, in many ways I find my self returning to where I was subject matter-wise at the time I left my schooling 12 years ago to join the circus of the internet. Back then working on the web was like some esoteric new thing you had to explain to most who asked; now the net is a pervasively woven element in our global cultural fabric… accordingly worthy of deeper cultural awareness and study. This post is more than one hundred forty characters.